We’ve been contacted by Sam Moss who is hoping to sign a new lease to re-open The Albert Pub on Princess Road. Sam has asked the the email to be shared to residents so we have posted it below. We’ve also attached the plans that were with the email. State your reasons for supporting the application. Representations will be accepted up until 27th March. Firstly please forgive the direct email out of the blue. My name is Sam Moss and I’m part of a small independent group who are about to sign a new lease to re-open The Albert on Princess Road. The challenge of getting the pub re-opened and back to its rightful place at the heart of its community is something that we are extremely excited about. I wanted to use this opportunity to provide you with not only a point of contact for any queries that local residents might have but also let you know in advance about a planning application that we will be making. 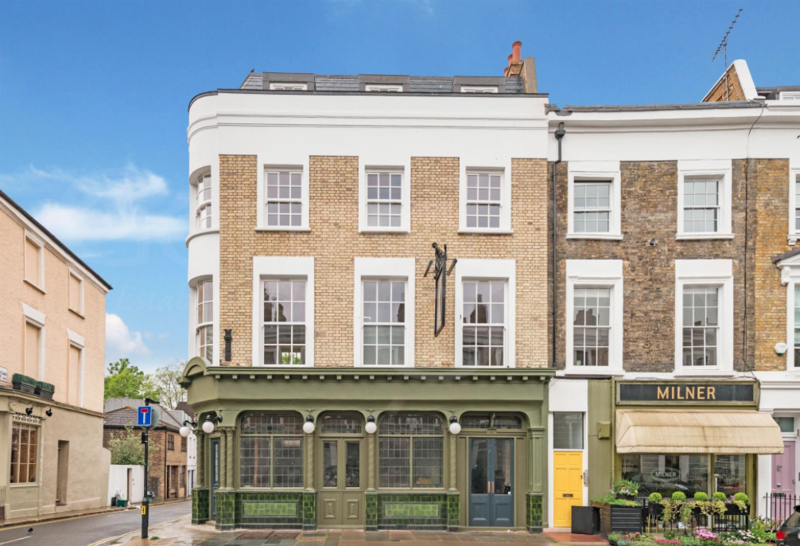 We believe that the character of The Albert is unique amongst the pubs of Primrose Hill, and to that extent we do not plan to make many changes to the interior layout. We would however like to move the ladies and gents toilets into the basement and replace the current conservatory with a slightly larger and more modern one incorporating the space that had been taken up by the ladies toilets. I have attached our proposed plans and an artist’s representation of the new rear elevation to this email for your information. One of the key things that attracted us to the pub is its wonderful garden. We believe that the garden is a central and massively important part of making the pub a viable and successful business and we hope that we have got the balance right between replacing the current conservatory with a more aesthetically pleasing structure that provides the pub with a little extra space, whilst maintaining and encouraging the use of the pub’s important outside area. Last week we had a pre-planning meeting with Camden Council and both the planning officer and the conservation officer are supportive of our proposals. In terms of operation we see The Albert very much as a proper pub run as a genuine free house. We will not be focusing on food and instead will aim very simply to offer a fantastic and accessible selection of drinks alongside a great menu of bar snacks all served by amazing and welcoming staff in a wonderful building. Following our meeting with the council we are aiming to submit our Planning Application next week, alongside a separate application for our Premises Licence. Should both applications not be unduly delayed we are aiming to have the pub (and more importantly the garden) open for the beginning of June and hopefully a wonderful summer! Having read the responses to the previous planning applications I am aware how passionate the community are about The Albert which is why we want to let you know exactly what we are planning to do right from the beginning, establish excellent lines of communication, and to assure you that our one and only aim is to run a fantastic pub for many years to come. Please feel free to circulate this email to any mailing lists that you might have and I would be grateful if you could let me know of any other local organisations you think I should get in touch with. If you have any further questions please do not hesitate to contact me and I look forward to both meeting and working with you in the future.